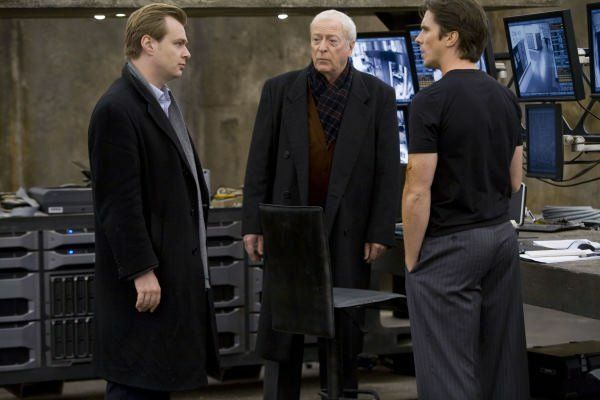 Is Christopher Nolan Really Worth the Hype? He is considered by many to be one of the greatest directors of the modern world and by the time he eventually retires his name will undoubtedly be up there with the all time true greats of film making. By comic book fans he is thought of as the man who saved Batman from it’s earlier embarrassments in the cinema and Warner Bros. now have him producing Man of Steel, the new Superman movie, in hope that he can bring another hero back from the cinema dead zone. However, Christopher Nolan does have his haters, but why? Is he really THAT good? Without exception every single one of the feature length films directed by Christopher Nolan has been a critical success. Whether it be the small scale Memento or the huge big budget summer blockbuster that is Inception, Nolan never fails to impress the critics. Nolan has been nominated for three Oscars (one for directing, another two for writing) and despite not yet winning the award he is being recognised by his peers as one of the best directors around. Nolan’s writing prides itself upon it’s mysteries. 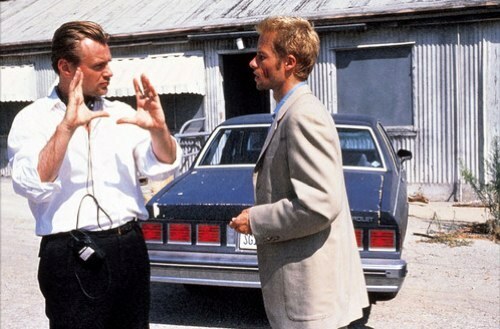 Memento was something new, something brilliant. And the mystery was kept going by the fact that the film played out backwards and nobody, not even the main character, knew what was going on. The Prestige had a fantastic shock ending that nobody had predicted upon first watch, yet when watching again it becomes clear that Nolan has left some clues along the way for any viewer intelligent enough to spot them. All the while, Nolan is teaching the arts of a magic trick whilst creating his own in The Prestige at the same time. The essence of mystery is something Nolan followed through with Inception and I think everyone who left the cinema after seeing Inception got confused at least once whilst watching and the ending still causes arguments a couple of years on (even though it is pretty clear what the ending actually is if you look for the clues). However, one of Nolan’s biggest downfalls is his writing of female characters. This is a criticism that is levelled at the director again and again, upon the release of every one of his films and audiences have a point. The female characters in Nolan’s films have very little purpose but to act as plot devices and have an effect on the main character; in themselves they have little story and virtually no development. Scarlett Johansson in The Prestige is a good example of this and Ariadne in Inception too, along with the women in his Batman films. There really seems no need for them to be there and they add next to nothing to the story. With the inclusion of Catwoman in The Dark Knight Rises it seems maybe Nolan is trying to prove that he can write a captivating female character to compete with the men of his films. It has been said that Nolan gets the best out of all the actors he works with, but look at the people he has worked with: Guy Pearce, Al Pacino, Robin Williams, the brilliant Hilary Swank, Christian Bale, Hugh Jackman, Leonardo DiCaprio, Joseph Gordon-Levitt, Tom Hardy, Michael Caine… the list goes on. Point is, every one of the aforementioned actors was already established and thought of as a very good, if not some of the best, performers at the time. Even I could have made a film with Michael Caine and Leonardo DiCaprio and got good performances from them because they are already brilliant actors! Nolan doesn’t seem to challenge himself, but then again, if you can work with the best around then you’re going to do that and who can really blame him. As briefly mentioned earlier, Christopher Nolan has brought a new life and new energy to an otherwise dead and buried franchise in the form of Batman Begins and The Dark Knight, the latter being described as one of the best films of all time. It may be a stretch but Nolan could be seen as the saviour of comic book films. Before him, of course, there was already Spider-Man and X-men that had been successful but Nolan showed what successes comic book movies have the potential to be. Whether you like him or not nobody with a sensible view on movies can argue that Christopher Nolan is not a good director. His films are among the best of modern cinema and he is definitely one of my top three directors of all time. With The Dark Knight Rises coming out this year it seems certain that Nolan is set to rise yet again and receive even more praise as he brings the curtain down on one of the best trilogies of all time. The hype surrounding this man is definitely justified. Upon release in 2009, Up in the Air was subject to huge critical acclaim. It was named in many critics’ top 10 list of films for that year and nominated for 6 Oscars: Best Picture, Best Director, Best Actor, Best Supporting Actress (x2) and Best Adapted Screenplay. Unfortunately, it failed to win in any of those categories. The film centres around Ryan Bingham (George Clooney), a corporate downsizer who flies around the United States firing people for a living. We travel with Ryan and learn of his isolated life and his philosophies until his company threatens to ruin the happy life he leads by putting him on the ground. Firstly, George Clooney is incredible. He has won one Best Actor Oscar (Syriana) and been nominated for three more (including Up in the Air) but I think that Up in the Air is the best I have ever seen him; he brings the character to life and allows the audience to feel how he feels. The supporting cast is just as good; Vera Farmiga (pictured) is great as is Ryan Bingham’s protege, if you like, Anna Kendrick. Then there are smaller, but still brilliant, appearances from Jason Bateman, Zach Galifianakis, J.K. Simmons and Danny McBride to complete a superb acting cast. Up in the Air is directed by Jason Reitman who is no stranger to critical acclaim with Thank You for Smoking and Juno both under his belt. I wasn’t a big fan of Juno but Reitman has won me round with this masterpiece. The story is fantastic; it has a strong structure and a complete story arc. The characters really do develop and it is clear to see the three main characters changing over the course of the film. The character development of Ryan Bingham in particular is really good and he is up there with some of my favourite characters from movies ever. The writing of the character, the acting, the story just makes him seem ‘real’ and he’s a man you can sympathise with and empathise with. Although not really likeable at first, after being on the journey with him you come to know him and see sides of him that nobody else sees which is really well done by the film makers. Although the film prioritises the drama aspect of the film and it is about Ryan’s job the comedy really shines in Up in the Air. Their are lots of funny moments, not necessarily jokes but things which can make the audience chuckle and laugh out loud. It really manages to mix the drama and comedy perfectly. The ending was perfect and ambiguous which is really enjoyable. It can be read as a happy ending or a sad ending depending on your interpretation of the film and your feelings towards the characters but by this time Ryan’s development has become clear and you see what a nice guy he is. I’ve watched a few films recently where the ending has seemed like a bit of a cop out, but this was not one of them. Fantastic. I fail to think of any negative point I saw in Up in the Air. Perhaps the only thing was that it didn’t last longer. I was more than satisfied with the running length, it didn’t drag, it didn’t rush but I could happily watch George Clooney as Ryan Bingham for hours. I’ll definitely be re-watching this a lot in future.